Greetings visitor, my name is Patrina Bly. 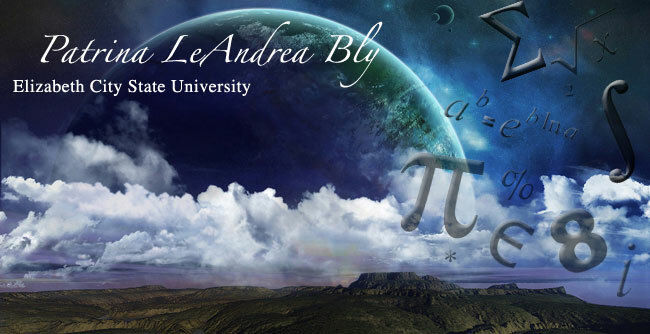 Currently, I am a graduate student at Elizabeth City State University pursuing a M.S degree in Mathematics with a Concentration in Remote Sensing. I would like to extend to you an invitation to browse freely into a site that reflects my various research and internship experiences, as well as interests. If you have any questions feel free to contact me at the link provided below.